Józef Klemens Piłsudski (5 December 1867 – 12 May 1935) was a Polish statesman who served as the Chief of State (1918–22) and First Marshal of Poland (from 1920). He was considered the de facto leader (1926–35) of the Second Polish Republic as the Minister of Military Affairs. From World War I he had great power in Polish politics and was a distinguished figure on the international scene. He is viewed as a father of the Second Polish Republic re-established in 1918, 123 years after the 1795 Partitions of Poland by Austria, Prussia and Russia. 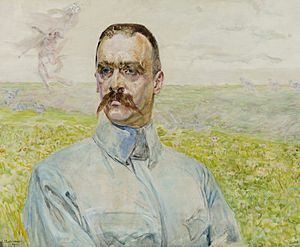 Deeming himself a descendant of the culture and traditions of the Polish–Lithuanian Commonwealth, Piłsudski believed in a multi-ethnic Poland—"a home of nations" including indigenous ethnic and religious minorities that he hoped would establish a robust union with the independent states of Lithuania and Ukraine. Early in his political career, Piłsudski became a leader of the Polish Socialist Party. Concluding that Poland's independence would have to be won militarily, he formed the Polish Legions. In 1914 he correctly predicted the outbreak of a major war, the Russian Empire's defeat by the Central Powers, and the Central Powers' defeat by the western Allies. 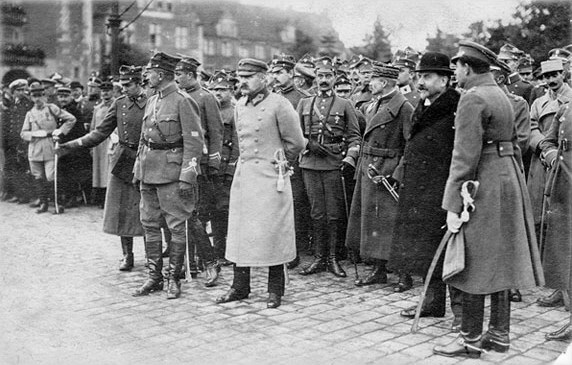 When World War I began in 1914, Piłsudski's Legions fought alongside Austria-Hungary against Russia. In 1917, with Imperalist Russia faring poorly in the war, he withdrew his support for the Central Powers and was imprisoned in Magdeburg by the Germans. From November 1918, when Poland regained its independence, until 1922, Piłsudski was Poland's Chief of State. 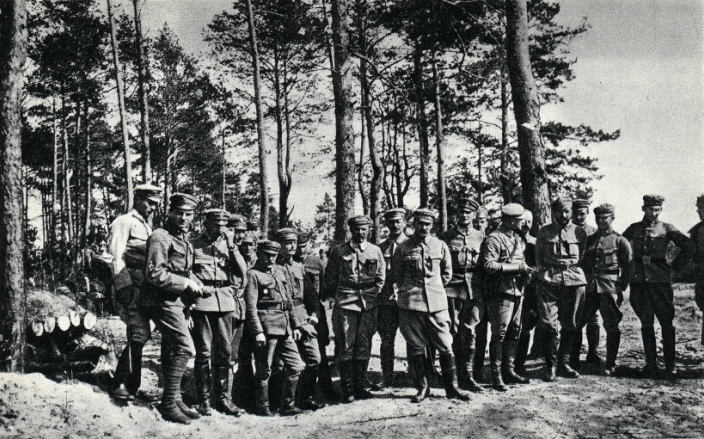 In 1919–21 he commanded Polish forces in six border wars that re-defined the country's borders. His forces seemed on the verge of defeat in the Polish–Soviet War when, in the August 1920 Battle of Warsaw, they threw back the invading Soviet Russian forces. In 1923, with the government dominated by his opponents, in particular the National Democrats, Piłsudski retired from active politics. Three years later he returned to power in the May 1926 coup d'état and became Poland's strongman. From then on until his death in 1935, he concerned himself primarily with military and foreign affairs. Born in Zulow (Lithuania) in a noble patriotic Polish family and brought up in austere circumstances. First he attended a grammar school in Vilnius. Then he studied at the University of Kharkov and then he joined a clandestine revolutionary and anti-tsarist organization "The People's Will". 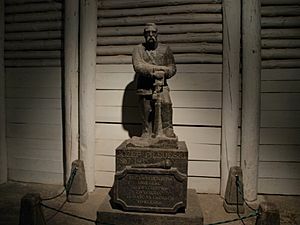 In 1887 he was arrested by Tsarist authorities and sent into exile in Siberia for five years. His brother, Bronislaw Pilsudski, also was in a revolutionary plot, and he was an associate of Lenin's brother. After his release he got to know the socialist movement and in 1892 he founded PPS, The Polish Socialist Party. In 1900 he was arrested again for being the editor of an underground leftist daily "Robotnik" (The Worker). He managed to escape and organized a military groups of the party. At that time he carried out bank and train raids. With the money he seized he slowly built up a new revolutionary army. The goal of his army was to gain independence from Russia. In the years before the WW I Pilsudski was a leading figure that linked and helped several military, paramilitary or guerrilla groups. All those groups aimed at Polish independence from the oppressive powers. In 1914 he establised the Polish Legion (the predecessor of the Polish Army) and fought with Austrian and German troops against Russia. However he was unwilling to take orders from the German and Austro-Hungary Command and he got arrested. With the Treaty of Brest-Litovsk Russia had to renounce claims to what was until then Polish-Russia and a kingdom of Poland was announced by Germany and Austria. 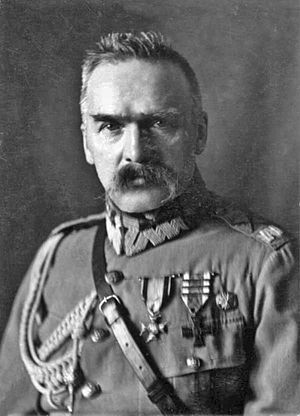 1918 Pilsudski was released and on the November 11 he was appointed the provisional head of the newly formed Polish state. 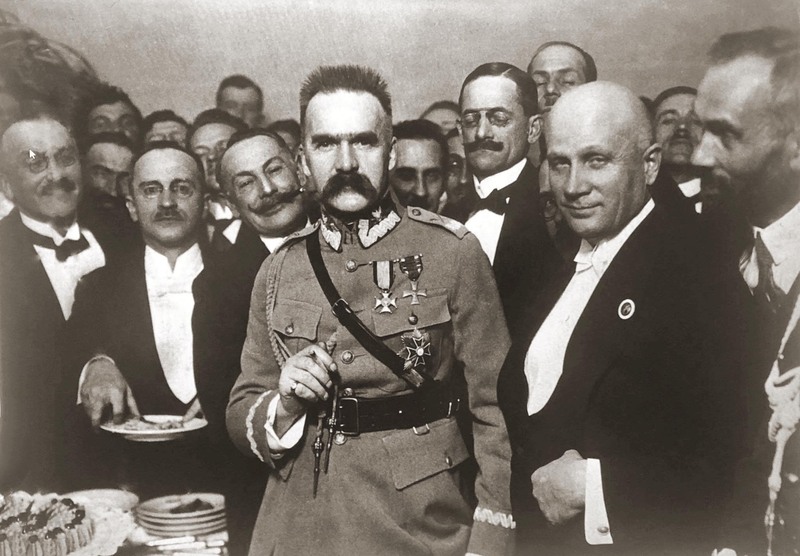 Pilsudski represented Poland at the Versailles Treaty. 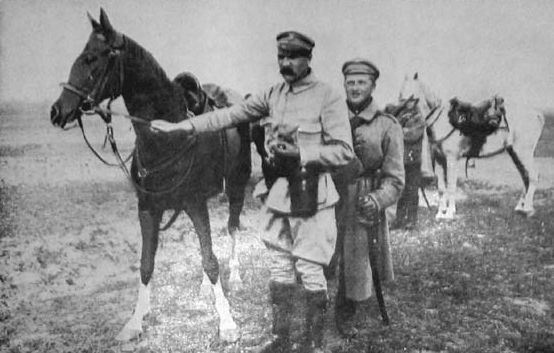 The Polish army led by Pilsudski put a stop to successful march of the Red Army towards the Western Europe. He defeated the Bolshevik Army and won considerable gains for Poland in Treaty of Riga (1921). He remained the military leader until 1923. After three year long retirement he came back and staged a military coup in 1926. Later he played an overwhelming role in Polish political life. 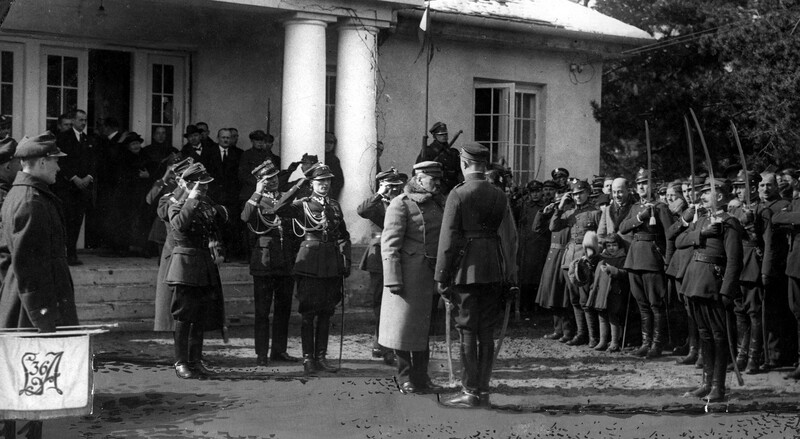 Pilsudski's death in 1935 left a political vacuum and many unresolved problems for the newly re-established Polish state. In March 1920, Piłsudski was made "First Marshal of Poland"
Józef Piłsudski Facts for Kids. Kiddle Encyclopedia.